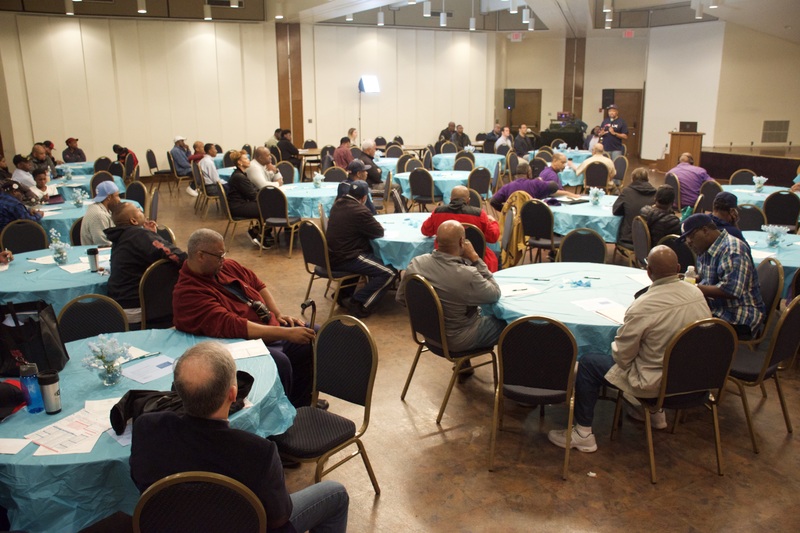 Georgia Urology continued its local outreach by participating in another program to help boost prostate cancer awareness and proactivity among African-American men. 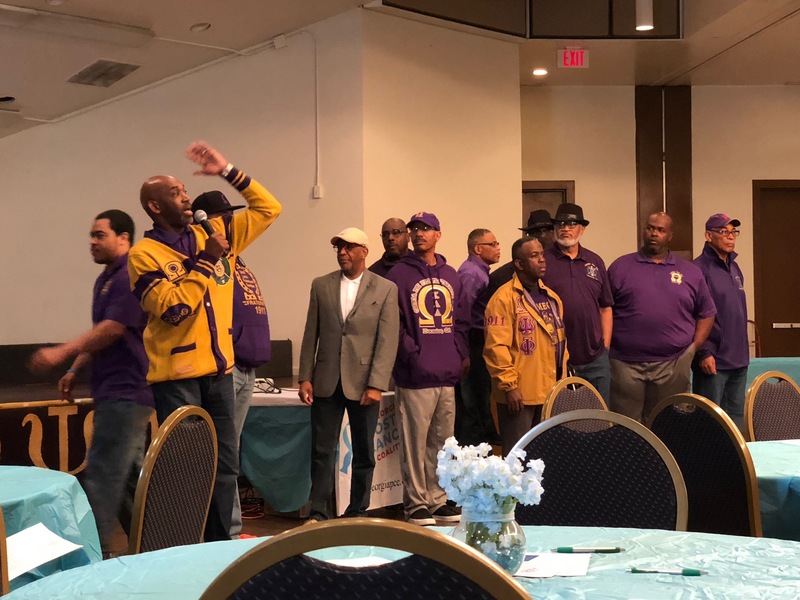 This free-to-the-public event, entitled Bayer Presents Community Conversation on Prostate Cancer, took place 10 a.m. February 17 at Omega Psi Phi Fraternity (3951 Snapfinger Parkway, Decatur). 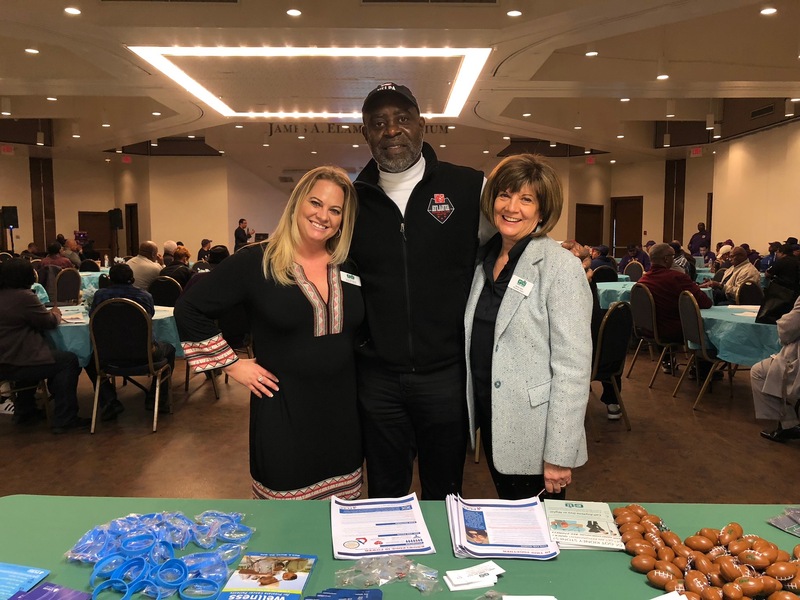 The event included complimentary prostate cancer screenings and lunch. 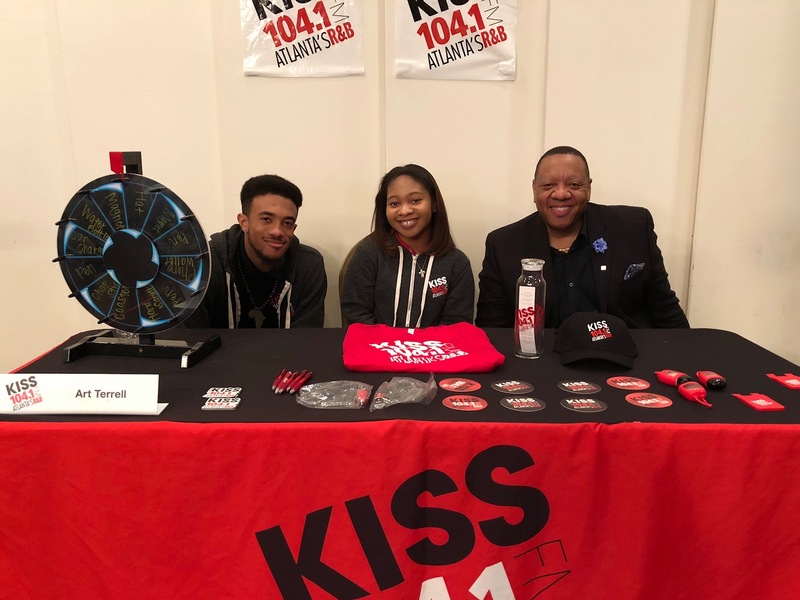 In addition to Georgia Urology and Bayer, other sponsors of the event included the Georgia Prostate Cancer Coalition, Radiotherapy Clinics of Georgia, Prostate Conditions Education Council, and Clark Atlanta University. 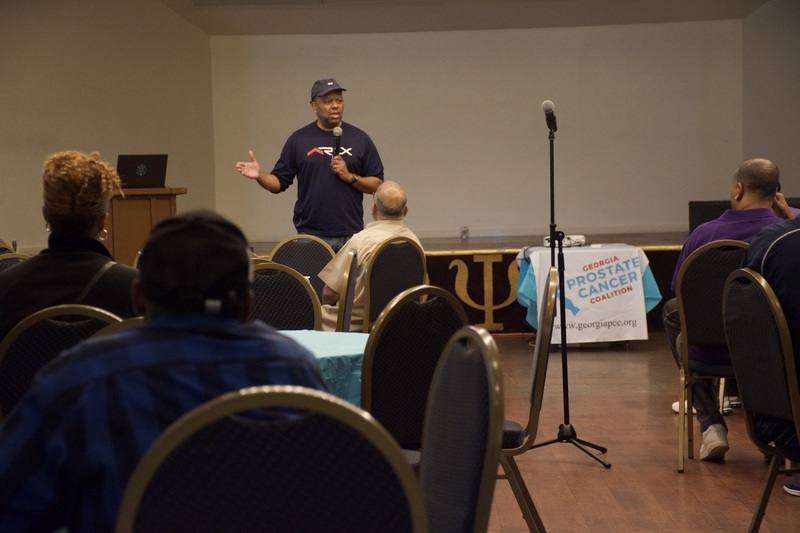 Georgia Urology’s Dr. Darrell Carmen addressed the importance of Prostate-Specific Antigen (PSA) testing and keeping a keen eye on one’s test results. Other panelists discussed topics ranging from prostate cancer treatment options and prostate cancer research in African-Americans. 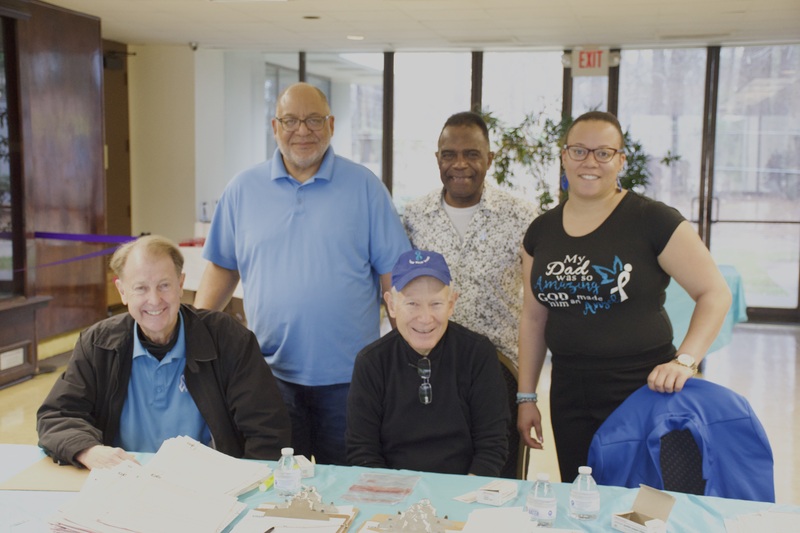 According to the Prostate Cancer Foundation, African Americans are 1.6 times more likely to develop prostate cancer than Caucasians, and 2.4 times more likely to die from the disease. 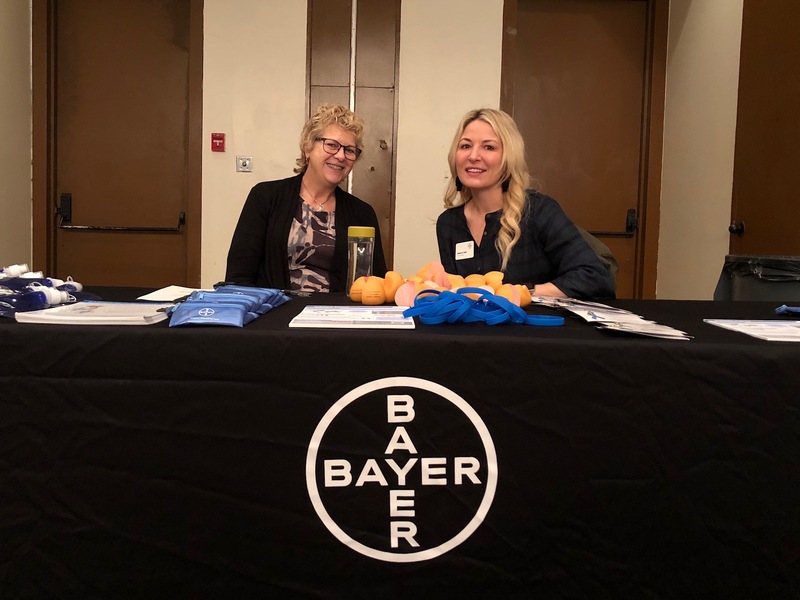 Attendees were able to take that awareness and put it into action on the spot. 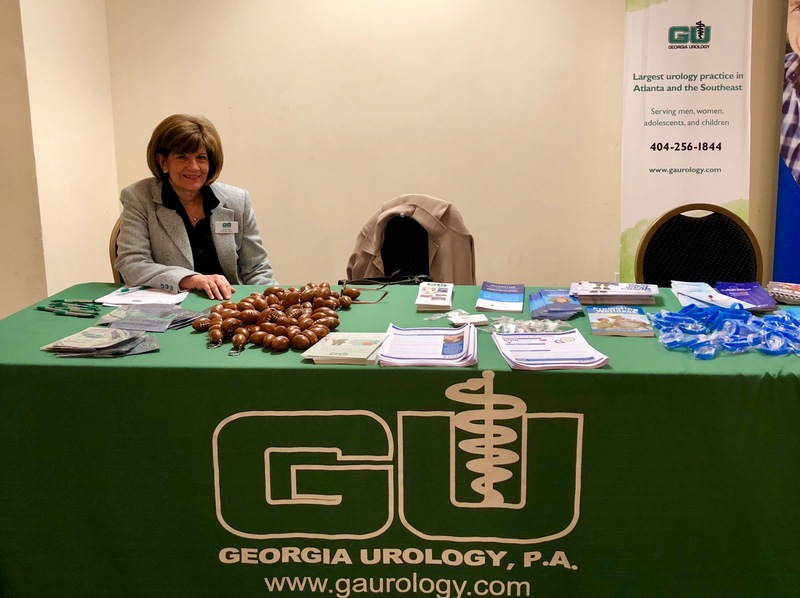 Georgia Urology hosted free prostate cancer screenings at the event. 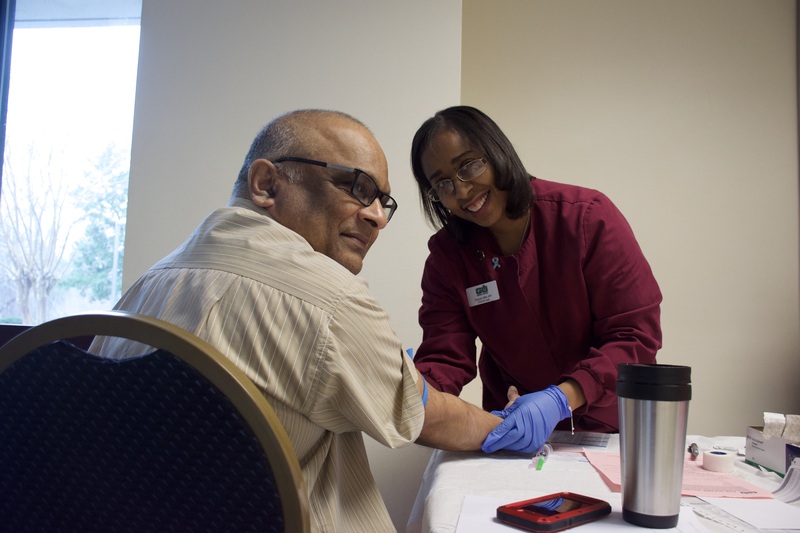 A volunteer staff from Georgia Urology was on hand to conduct the screenings. Georgia Urology physicians always recommend that when men reach age 40, they consider a prostate cancer screening with a PSA test. Statistics reveal that one in six men will be affected by prostate cancer in their lifetime. 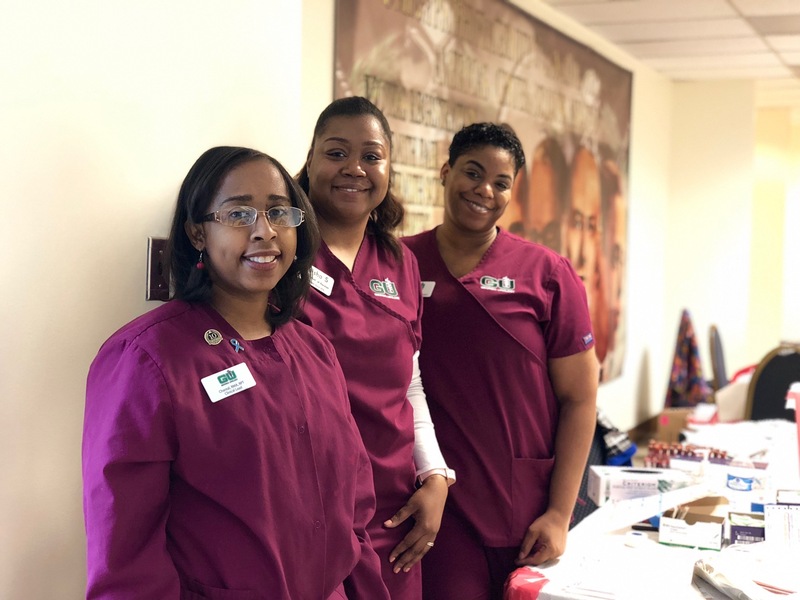 One member of the volunteer staff, Medical Assistant Chantal Jordan, formed a special connection during the event. 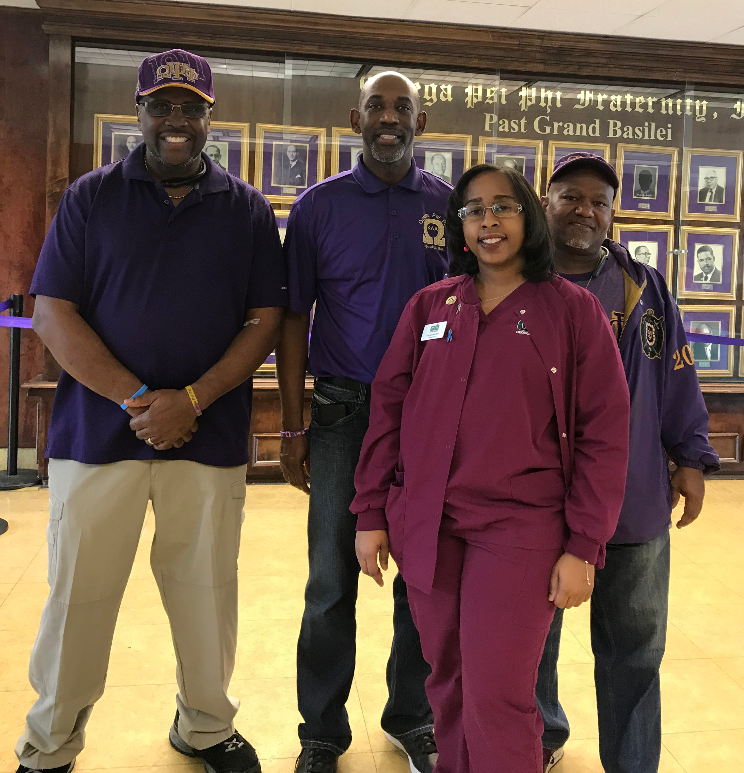 She was able to meet with several of the men who mentor her son in Omega Psi Phi’s Project Uplift program. “The program has been amazing for my son for the past year, so it was an honor to connect with those who have done so much for him,” Chantal explained. 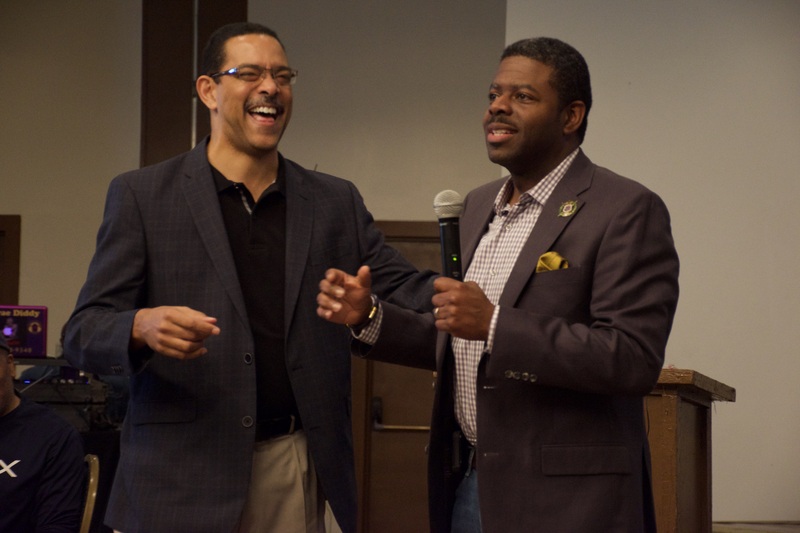 Other special guests included 11Alive meteorologist Chesley McNeil, who will serve as host. A roster of former NFL players were on hand for a special meet-and-greet with audience members. Dr. Darrell Carmen practices out of the Camp Creek (3890 Redwine Road, Suite 112, Atlanta. 404-766-7151) and Riverdale (33 Upper Riverdale Road S.W., Suite 105, Riverdale. 770-991-0020) Georgia Urology locations. Dr. Carmen is a member of the American Urological Association, National Medical Association, American Association of Clinical Urologists, and American College of Surgeons. With specialized training in robotic surgery and InterStim therapy, Dr. Carmen has urologic expertise in prostate cancer, erectile dysfunction, penile implant surgery, urinary incontinence, and kidney stones.